Meet The Bella Fino iPhone XS Max Wallet Case. The Bella Fino Wallet Case for iPhone XS Max is truely a stand-out work of art. We owe that to the attentive and skilled hands of our artisans. Intricate French-hemmed seams, fine full-grain leather, and parachute-grade nylon stitching are expertly combined together into something that is more than the sum of its parts. We aimed for the Bella Fino to be the best iPhone wallet case in the world. It can hold up to 6-8 cards and closes over the iPhone for a protective screen cover while in your bag or pocket. To protect your investment, we have included satin-finished protective snap-on iPhone case as well for improved grip, drop, and edge protection, giving you the option to apply the Bella Fino to either your iPhone XS Max or to the free included case via our unique, just for Pad & Quill, secure locking residue-free technology from 3M that is removable and reattachable. 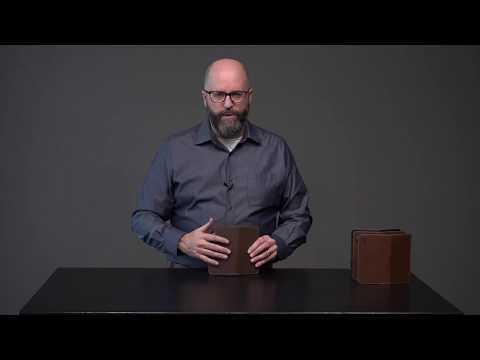 We are so confident in the artistry and durability of this iPhone XS Max case that we back it with a 25-year leather warranty. It is wireless charging compatible, and only adds just over a ¼ of an inch to the thickness of either side of the iPhone. You couldn’t ask for a better case!